The Garner Law Office has provided advice and representation in routine real estate and landlord tenant matters, handled a variety of civil litigation claims and disputes in the NH Circuit and Superior Court and generally assisted individuals, families and small business owners involving a myriad of legal issues that are encountered every day. 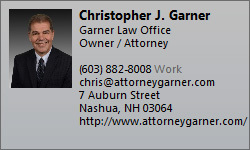 Please call (603) 882-8008 or contact chris@attorneygarner.com to schedule an appointment today to learn more about how we may be able to help you. 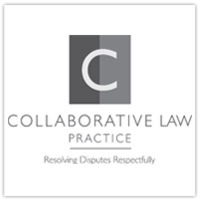 Nashua, New Hampshire and statewide practice for your legal needs. Get the trusted advice and counsel of an attorney with over 30 years of New Hampshire legal experience.